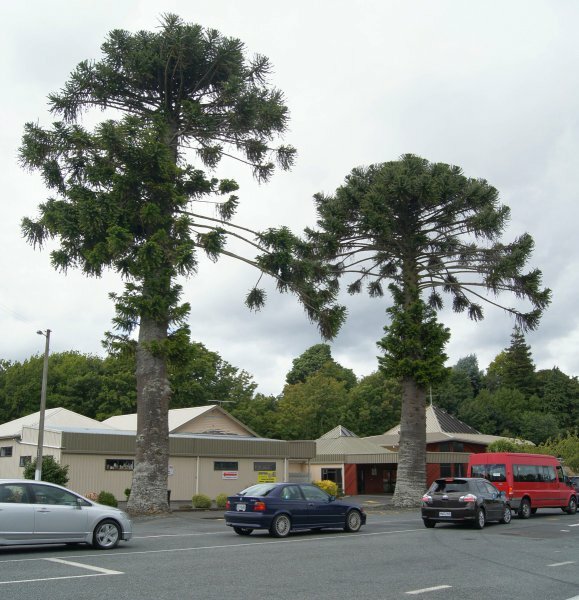 The shorter and stouter of two large Bunya pines, near the intersection of Akatawara Road and SH2, Upper Hutt. See the companion tree WTR/1284 [Smillie 2015]. Weeping split in bark on trunk facing road. 22 Feb 2015 Smillie, M.J. Literally on the road, near the intersection of Akatawara Road and SH2.